The Museum’s fourth biennial awards exhibition, 2016 Contemporary Northwest Art Awards features eight outstanding artists including a two-person artist’s collaborative. Four of the eight artists are immigrants, coming to the Northwest from Asia and Europe and contributing to the exhibition’s conceptual strength with a fresh view of America. Works in the exhibition address global and regional humanist issues —prejudice, belonging, war, the evolution of power, omnipresent technology, and the environment. Ranging from large-scale installations to intimate ceramic portraits, the multimedia exhibition showcases works in combinations of neon, video, glass, drawing, painting, and clay with innovative approaches to both new and traditional media.At the opening reception one artist will receive the $10,000 Arlene Schnitzer prize selected by the Museum’s curatorial staff. 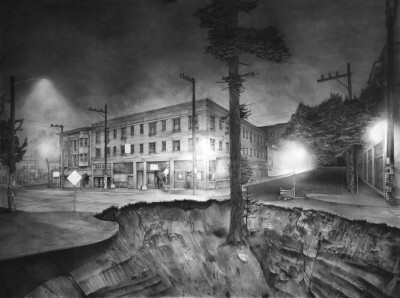 From nomination to final prize, the biennial awards process delivers a two-fold benefit: It allows the Portland Art Museum to identify a number of the Northwest’s exceptional talents, and it provides the museum with a far deeper understanding of the new work taking place in the region by both established and emerging artists. The exhibition is accompanied by a catalog, artists’ lectures and other exhibit related programs.Bonnie Laing-Malcolmson, The Arlene and Harold Schnitzer Curator of Northwest Art, and invited curatorial advisor Jessica Hunter-Larsen, curator of IDEA Space, Interdisciplinary Experimental Arts, at Colorado College, received over 200 nominations from respected regional arts professionals of outstanding contemporary artists from Idaho, Montana, Oregon, Washington, and Wyoming. Nominees were selected on the basis of quality, innovation, relevance to community or global issues, continuity of vision and dedication to studio practice. Hunter-Larsen and Laing-Malcolmson reviewed the applications to select 24 four finalists, from which the group of seven award winners was chosen. Organized by the Portland Art Museum and curated by Bonnie Laing-Malcolmson, The Arlene and Harold Schnitzer Curator of Northwest Art. 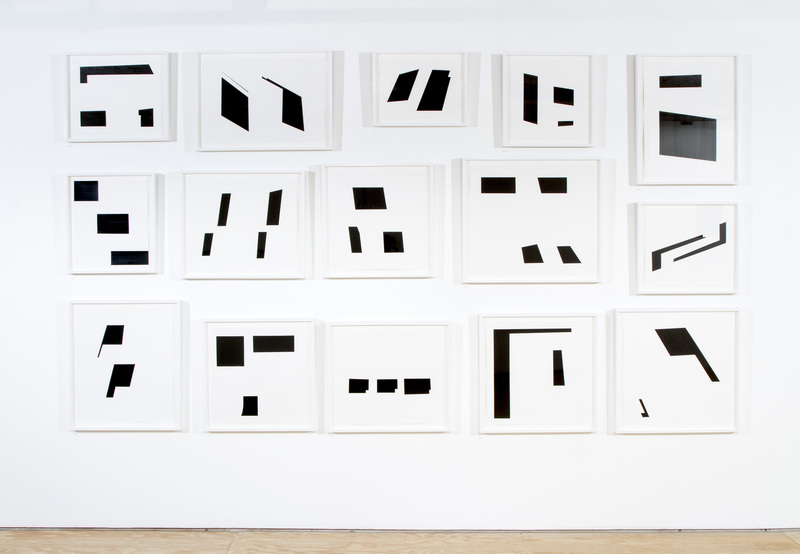 Using drawing and video, Haven employs words and geometric spatial relationships to illustrate the fragmented bombardment of technology on the human psyche in the new millennium. With language and mixed media, she binds together two- and three-dimensional imagery to create elegant modernist objects that suggest unanswered questions. Haven received a BFA degree from the University of Washington, Seattle and an MFA from Goldsmith College, University of London, United Kingdom. 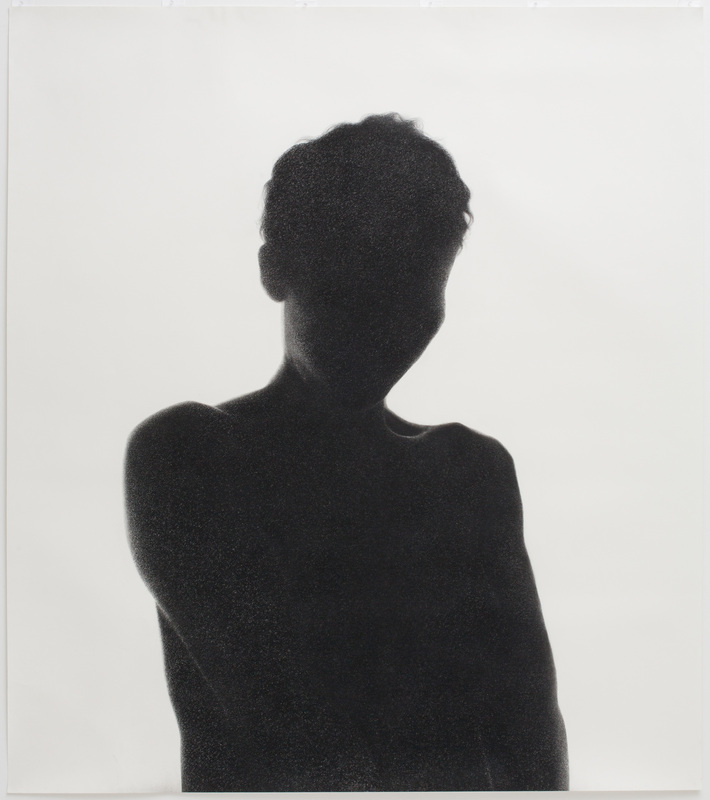 Her work has been exhibited at Seattle Art Museum; Drawing Room, London; Planthouse, New York; Frye Art Museum, Seattle; and Portland Institute for Contemporary Art, Oregon, among other venues. She has been included in numerous group exhibitions nationally and internationally. Haven has won many awards and her work is included in numerous public and private collections. Annie Han and Daniel Mihalyo use video, sculpture, drawing, installation and photography to reveal spatial qualities of the built environment that influence human behavior. This combination of styles expands the understanding of the constructed surface, which scripts a large portion of human movement and perception. Lead Pencil Studio is a collaborative between Seattle architects Annie Han and Daniel Mihalyo,both graduates of the University of Oregon College of Architecture and Allied Arts. Lead Pencil Studio has been included in exhibitions nationally and internationally and has received awards, grants, and residencies including: Year in Review, Americans for the Arts, Washington D.C.; John Michael Kohler Arts Center Residency; New York Prize Fellowship, Van Alen Institute; MacDowell Colony Artists Residency, New Hampshire; Rome Prize, American Academy, Italy; and a Creative Capital Foundation Visual Arts grant, New York. Louis is inspired by the human body and its connection to timeless and fascinating systems of the natural and constructed worlds—linking time, space, and energy through dynamic multimedia installations. 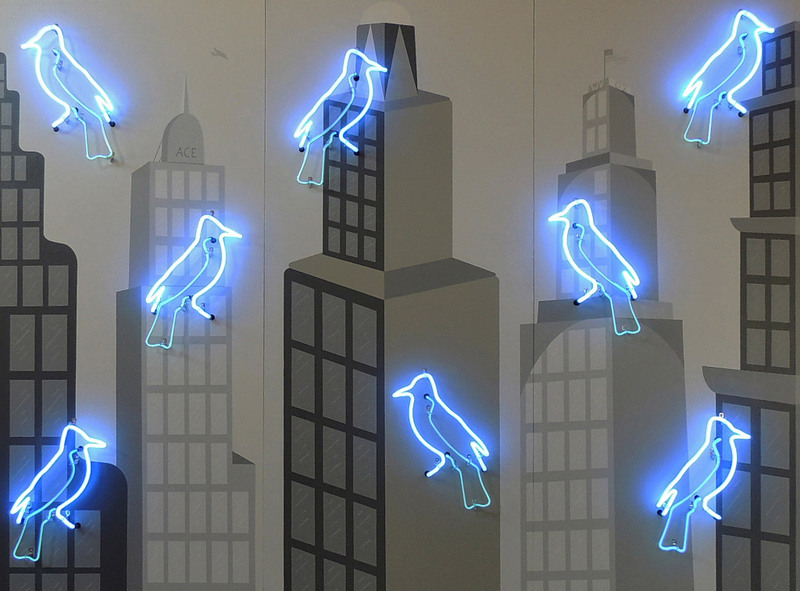 Creating spaces with intimate and large-scale drawings, light projections, and sculptural objects, she uses glass, light, and shadow to achieve a glitteringly magical environment. Louis earned a BS in Studio Art and Education, University of Wisconsin, Madison and an MFA from Ohio State University, Columbus. Her solo exhibitions include: Hoffman Gallery, Lewis and Clark College, Portland, Oregon; Kuhl Gallery, Oakland, California; Gallery 111, Sausalito; The Art Gym at Marylhurst University, Oregon; and Hopkins Hall Gallery, Ohio State University, Columbus. Louis has executed commissioned projects including: Oregon State Hospital, Junction; TriMet Light Rail, Portland; Ann Sacks, New York; Northgate Library, Seattle; Mary Bridge Children’s Hospital, Tacoma and Oregon Convention Center, Portland. 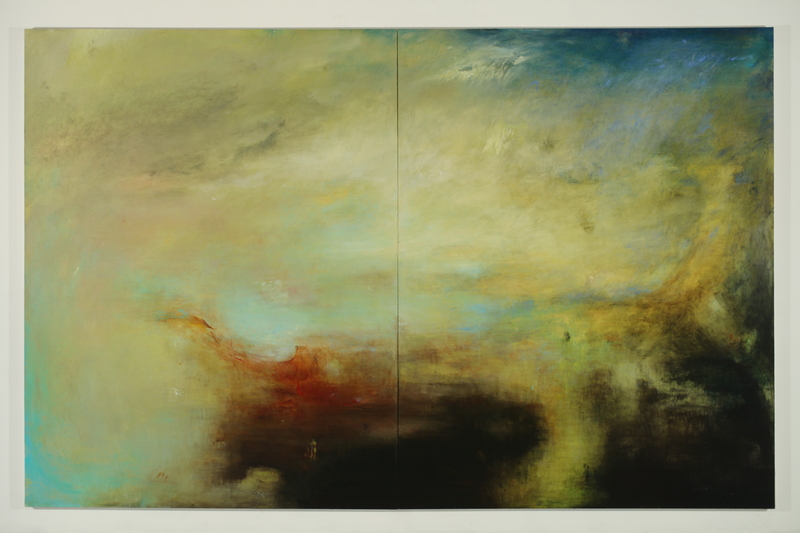 O’Toole creates a prolonged moment where the painting’s vast space evokes an image with a resonating emotional depth. Metaphorically employing the moody landscape of rural Ireland, she channels a deep-seated pain and misery resulting from a past lived amidst a compilation of grudges, suspicion, and violence. O’Toole lives is a professor at the University of Washington. She earned a BA from National College of Art and Design, Dublin, Ireland and an MFA from the School of the Art Institute of Chicago. She has exhibited at The Hamilton Gallery, Sligo, Ireland; Linehall Art Center, Castlebar, Ireland; The Cultural Center, Chicago; Hudson D. Walker Gallery, Fine Arts Work Center, Provincetown, Massachusetts; and the San Francisco Museum of Modern Art. Awards and honors received include: a Pollock-Krasner Foundation Fellowship; a Jack and Grace Pruzan Endowed Faculty Fellowship (2013-2015), University of Washington; and The Bemis Foundation Residency, Omaha. Takamori’s new, 40-foot-long, lyrically painted clay installation addresses the war torn world through the faces of its threatened children. In our contemporary society of a great mix of people, these diverse faces remind us that life begins unblemished by clashing ideologies. 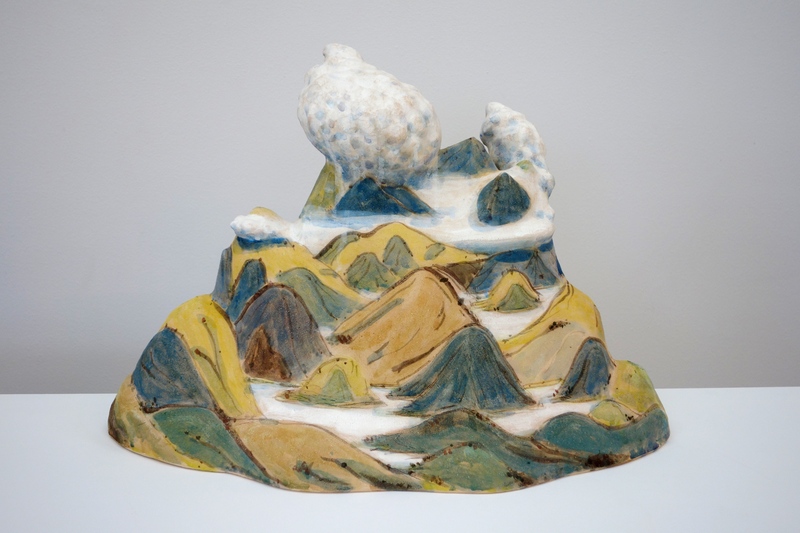 Additionally, a series of serene ceramic landscapes quoted from historic Japanese and European paintings provide a hopeful and contemplative view of the natural environment. Takamori received a BFA from the Kansas City Art Institute and an MFA from New York State College of Ceramics, Alfred University. His exhibitions include: The Ariana Museum, Switzerland; Galerie Collection, Paris, France; Sint-Lucas Beeldende Kunst, Gent, Belgium; International Ceramic Studio, Kecskemet, Hungary; and Barry Friedman LTD, New York. His work is represented in collections including: Ariana Museum, Geneva, Switzerland; Carnegie Museum of Art, Pittsburgh; The Mint Museum of Craft and Design, North Carolina; Los Angeles County Art Museum, California; Victoria and Albert Museum, London; Museum of Contemporary Ceramic Art, Shigaraki, Japan; Museum of Art and Design, New York; Seattle Art Museum; and Renwick Gallery, Smithsonian American Art Museum, Washington, D.C.
Volkersz has an immigrant’s fascination with America. Arriving in Seattle from Amsterdam shortly after World War II, he began photographing a newly discovered landscape of billboards, vernacular architecture, and neon signs. Over time, he became fascinated with roadside art and pop culture: larger-than-life advertising figures, postcards, and travel souvenirs. Volkersz creates a charmingly critical narrative around his Dutch heritage and American citizenship. 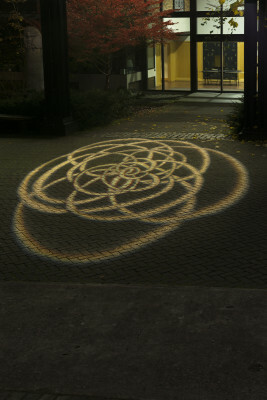 Volkersz was awarded a BA from the University of Washington, Seattle and an MFA from Mills College, Oakland, California. 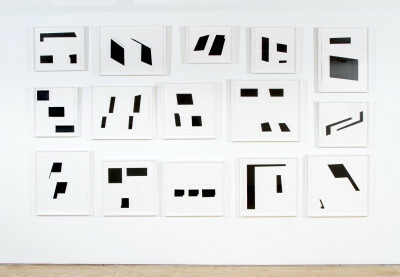 He has had 45 solo exhibitions and has received numerous grants and fellowships, including The Adolph and Esther Gottlieb Foundation, Individual Artist Grant, New York; George Sugarman Foundation Grant, Novato, California; Individual Artists Fellowship, Helena, Montana; and a Fulbright Senior Scholar Award, Washington, D.C. His work is found in collections including: Seattle Art Museum; University of the Arts, Osaka, Japan; Kansas City Art Institute; Northwest Museum of Arts And Culture, La Conner, Washington; Nanjing College of the Arts, China; Museum of Neon Art, California. Wall seeks to communicate the interior emotional state that separates one’s sense of self from their body. Growing up as an ethnically diverse child in South Korea and the American South, she learned to navigate between social and cultural boundaries. Her quietly powerful work utilizes modest materials, such as graphite or charcoal, to build a supple, interlaced texture of marks which are suspended on the surface of paper. Wall received her BFA from University of Southern Carolina, Columbia, and an MFA from Pacific Northwest College of Art, Portland. She has had solo exhibitions at Fairbanks Gallery, Oregon State University, Corvallis; The Art Gym, Marylhurst University, Oregon; Worksound, Portland, Oregon; McMaster Gallery, University of South Carolina, Columbia; and Olive Hyde Art Center, Fremont, California. She has received grants, awards and residencies including an Individual Artist Fellowship from Oregon Arts Commission; Joan Mitchell Center Residency, New Orleans; and a Hallie Ford Fellowship in the Visual Arts, Roseburg, Oregon.